Located close to Lan Kwai Fong in vibrant Central is this contemporary 800 square feet studio. 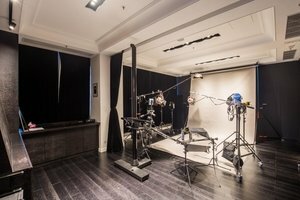 This studio is perfect for Private Sales, Art Events and Photoshoots. This creative studio has a dim and cool feel with a few windows which allow plenty of natural light into the studio, creating a dim yet creative ambience. 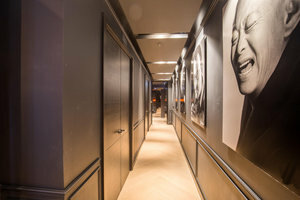 The interiors here are polished with wooden flooring, wooden panels and black walls. 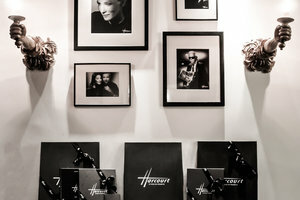 The studio has a trendy atmosphere and a smart feeling, adding a hipster feel to the studio. 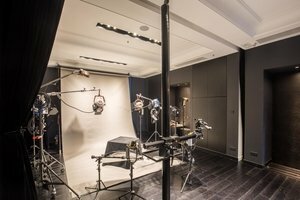 With office equipment, a security system, sound and video equipment, and many other facilities, this studio is well-equipped for private sales, art events, and a wide range of other activities. The tasteful art-deco adds a tasteful feel to the studio. 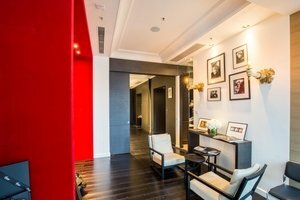 Advantageously situated in the bustling area of Central close to Lan Kwai Fong and Central MTR station, this studio is in a prime location. It is an exceptional opportunity in a highly sought after area and perfect for emerging brands and startups to raise brand engagement.